When winter approaches, our part of Earth receives less sunlight, and the air grows colder, this season is commonly known as “Fall”. When these changes happen, trees prepare for winter. People believe that leaves die on the tree and the wind blows them off the tree. According to Peter Raven, president of the Missouri Botanical Garden and a renowned botanist, “the wind doesn’t simply pull leaves off trees. Trees are more proactive than that. 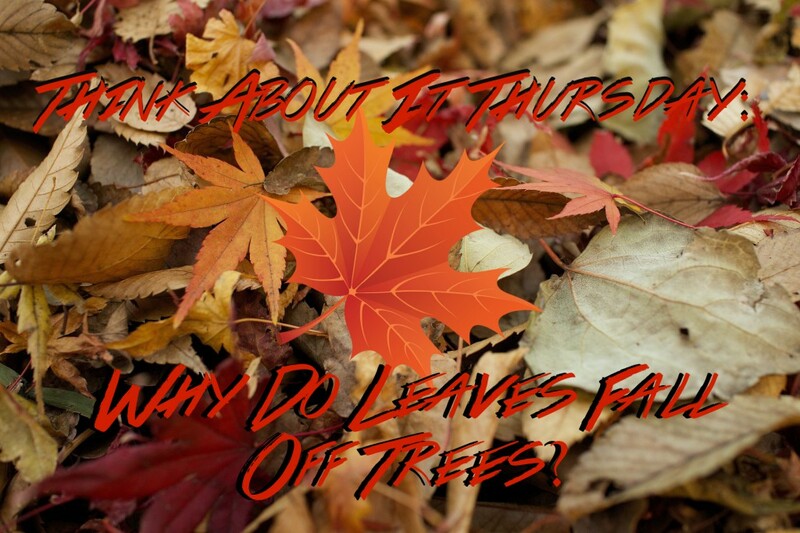 They throw their leaves off.” Deciduous trees have cells in them that act like scissors. These cells build up a thin bumpy line that push the leaf, bit by bit, away from the stem. You can’t see this without a microscope, says Peter Raven. The tree will then seal the spots where the leaves were attached and bunker down for the winter months. The falling of these leaves on a tree actually helps the tree to survive the cold, dry air of winter. In the warm seasons, leaves use sunlight, water, and air to make the tree’s food, in a process called photosynthesis. In that process, the tree loses a lot of water through tiny holes in the leaves. In winter, the tree does not get enough water to replace what it would lose through the leaves. If the tree did not seal the spots where the leaves grow, it would die. When spring brings warm air and fresh water, the tree will sprout new leaves and start growing again.